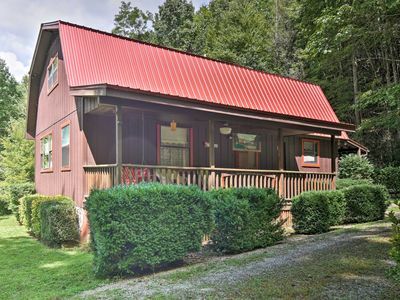 This secluded Bryson City cabin is a perfect getaway for families and friends, accommodating 8 with 3 bedrooms and 1 bathroom. 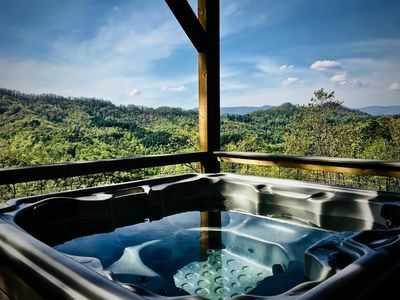 Soak in the vacation rental home's private hot tub, shrouded by trees on the back porch. 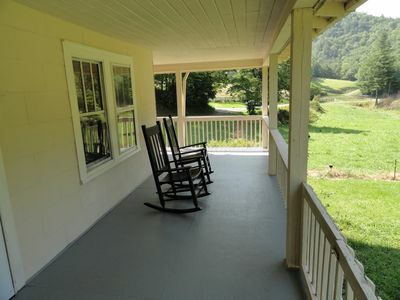 Rustic rocking chairs line the porch of 'Wolf Den' where you can enjoy a cup of coffee in the cool morning air or relax with a beer after supper. 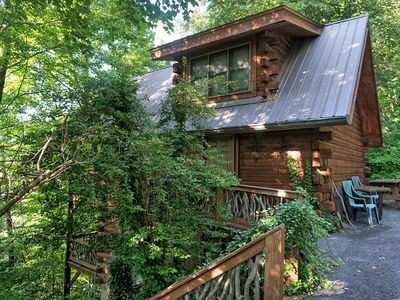 Howl at the moon from the wraparound deck of this cozy wolf-themed cabin. 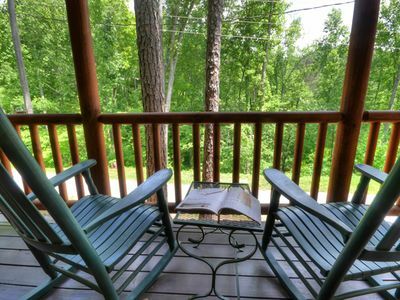 Lined with rocking chairs, the deck is the perfect place to relax with your crew and enjoy the peace and tranquility of the tree-lined location. 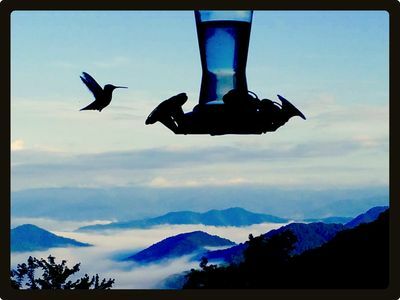 You’ll never tire of those breathtaking views of the Great Smoky Mountains. 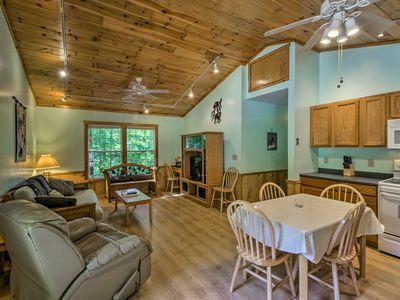 Fully equipped, the kitchen is complete with all the pots and pans you need to cook for your crew. Brew a fresh pot of coffee in the morning while a french toast casserole bakes in the oven. Sit together at the sunny dining table and start your day out right. 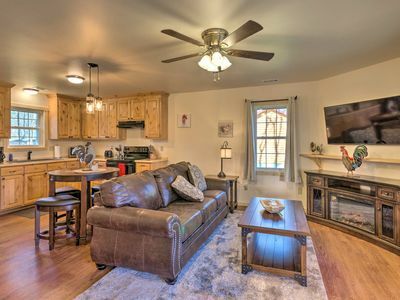 Relax and unwind in the sunny living room, where you can cuddle up on the fluffy futon and watch a movie on the flat-screen cable TV. Bring along a Jack London novel and sink into the recliner for an afternoon with your nose between the pages. Grill dinner outside after a day of adventuring outdoors through Nantahala Gorge and Bryson City. After feasting on burgers and brats, sit around the fire pit and roast marshmallows for s'more of the perfect outdoorsy log-cabin dessert. Wolf friends are there to watch over you while you sleep in the three bedrooms, each brimming with wolf motifs. The living room sleeps 2 additional guests on the futon. 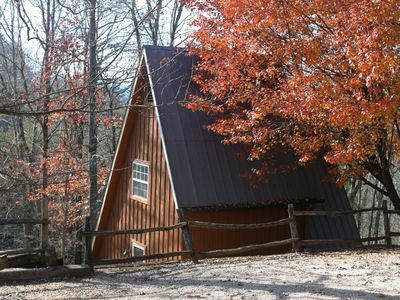 This peaceful vacation spot is ideal year-round, with fun outdoor activities for every season! 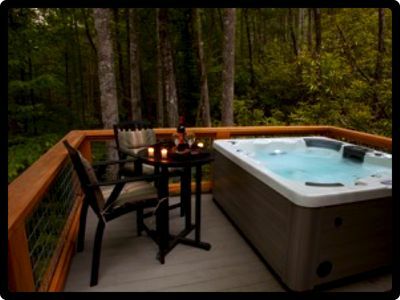 You'll love being able to come back and soak in the hot tub after playing in the great outdoors. 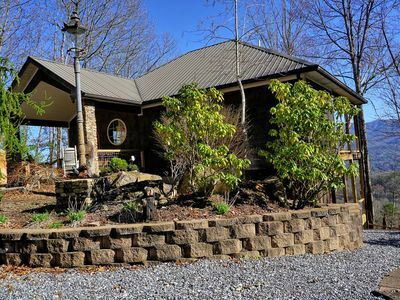 Satisfy your adrenaline cravings zip lining or whitewater rafting at Nantahala Outdoor Center - just 5 minutes from the cabin! 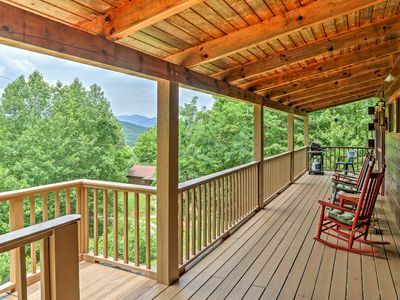 Go horseback riding through the Great Smoky Mountains, mountain biking through the Tsali Recreation Area, or hiking along the Appalachian Trail. 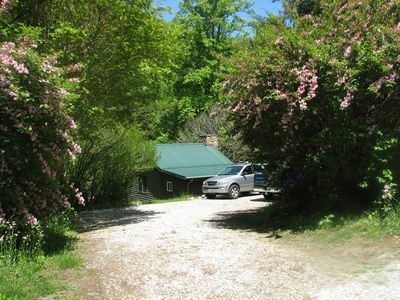 Drive 30 minutes to the Smoky Mountain National Park to check another national park off your bucket list. 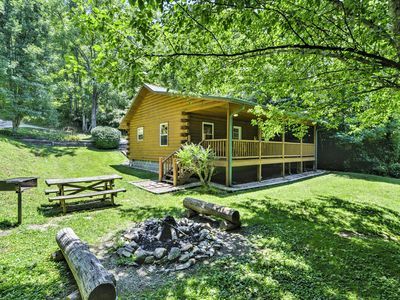 With so many spots to opt outside, your warm-weather vacation will be filled with endless fun and adventure. 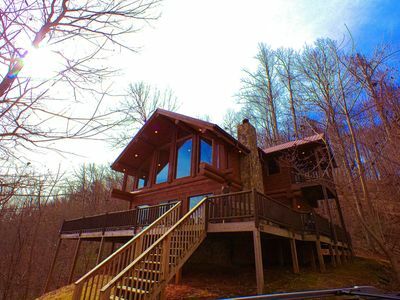 Fill winter months with snowboarding and skiing through the Great Smoky Mountains. Refuel with comfort food at Jimmy Mac's after a day of tubing or snowshoeing through the fresh powder. Blow on your dice, slip that four-leaf clover into your pocket, rub a (faux) rabbit foot, and head to Harrah's Cherokee Casino Resort to try your hand at the slots and a few rounds of Black Jack! 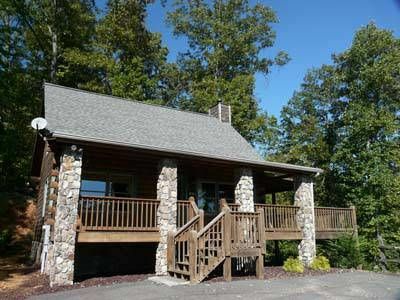 With delicious restaurants and fun shops back in Bryson City, your winnings will be well spent. 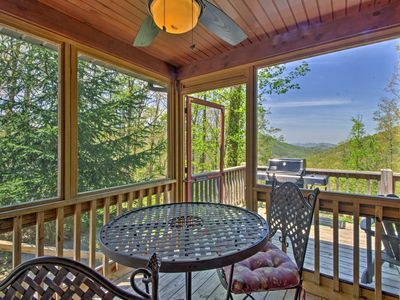 - Close to Nantahala Gorge, this Bryson City cabin has stunning views of the Great Smoky Mountains. 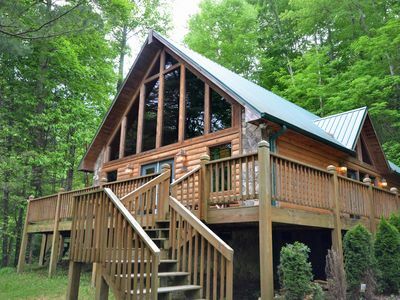 Drive to Harrah's Cherokee Casino Resort to test your luck, hike the Appalachian Trail, bike at Tsali Recreation Area, go fishing, boating, zip lining, and horseback riding in this incredible outdoor location. In the winter don't miss skiing, snowboarding, and tubing! 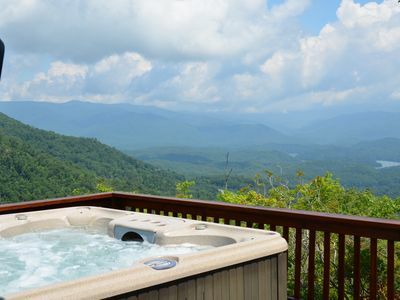 Mountain Top Oasis - Unbelievable Views Every Where You Look! 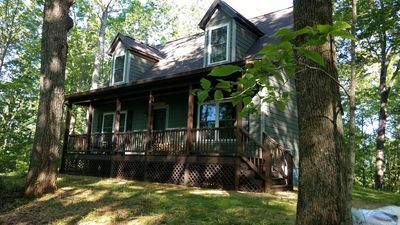 Bryson City Cabin w/ Private Spa & Mountain Views! 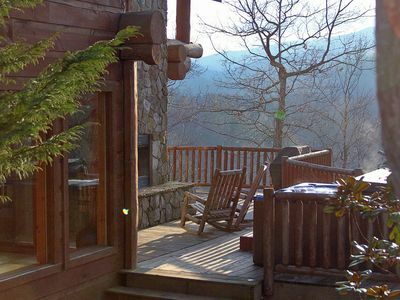 *$150/Night Spring Special* Luxurious Log Cabin With distant views of Mountain Vistas!